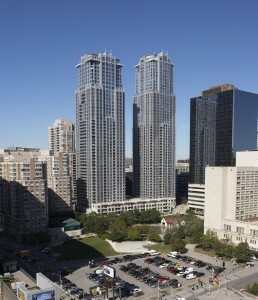 Luxury “Residences Of College Park” In High Demand Location, Prime Downtown. Steps To U Of T & Ryerson. Direct Underground Access From The Building To Subway Station, 18000 Sq. Ft Recreation Centre “Parkview Club” Include: Indoor Pool & Whirlpool, Party Room, Game Room, Business Centre, Gym, Virtual Golf, Guest Suites, 24 Hr Concierge & More … Spacious Corner Unit , Gorgeous City/Lake/Sunset Views, Split 2 Bedroom Plan, Immaculate Condition. $699,800 2 bedrooms, 2 bathrooms, with 1 parking space and a locker. Contact me, for a private viewing.